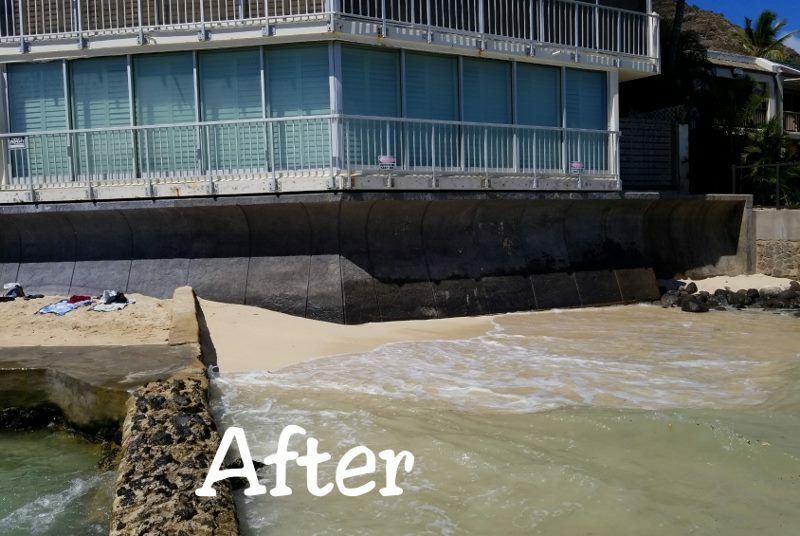 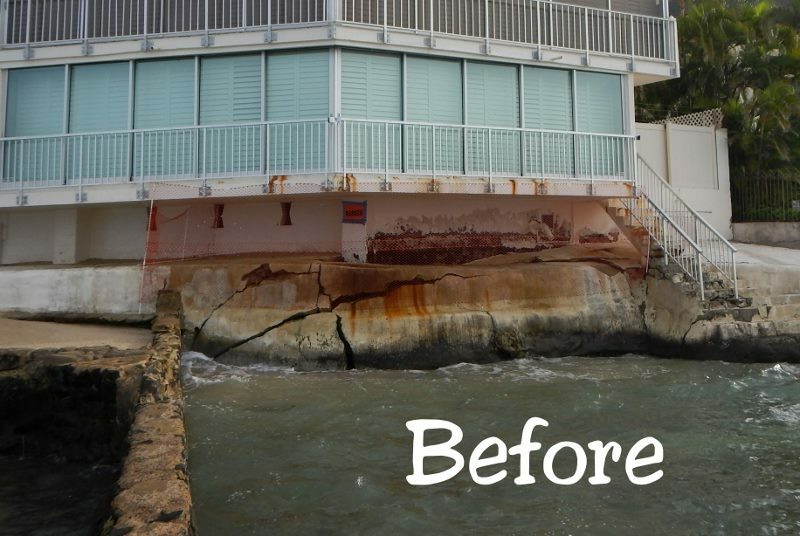 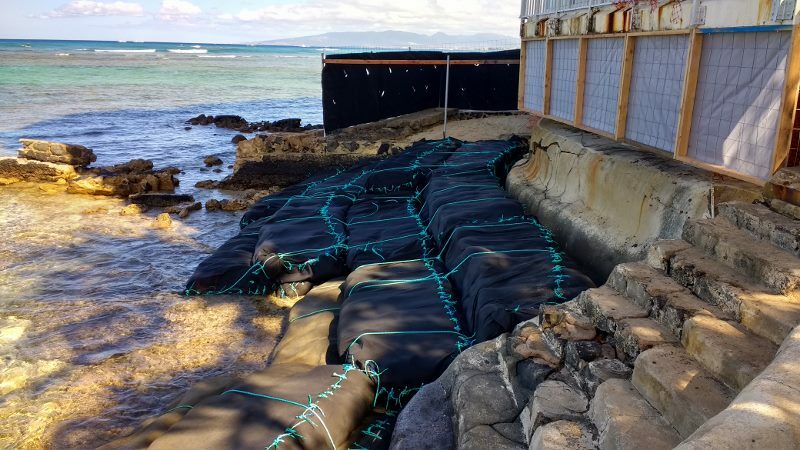 Bow Engineering provided Project Management and construction BMP design for the Kainalu Apartment’s seawall, which was experiencing severe cracking and foundation failure. 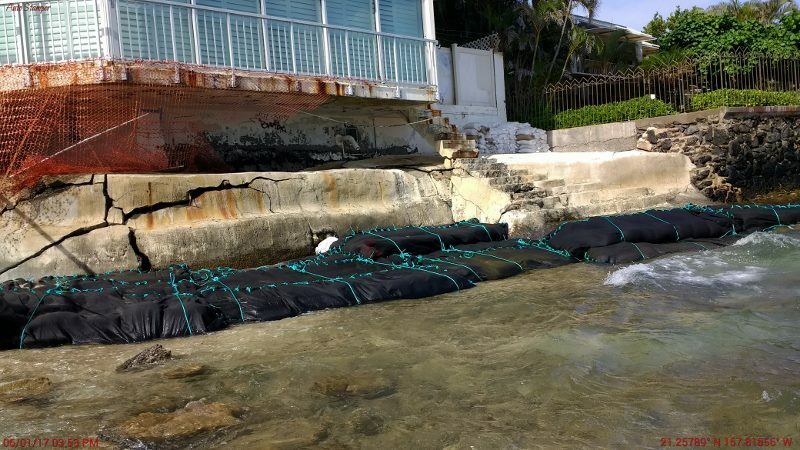 We obtained various permits including: Section 401 WQC Application, Section 404 Permit, DLNR OCCL Permit, and an NPDES Dewatering Permit, Form G. During construction, we conducted weekly water quality sampling, testing, and monitoring to ensure self-compliance following Department of Health regulations. 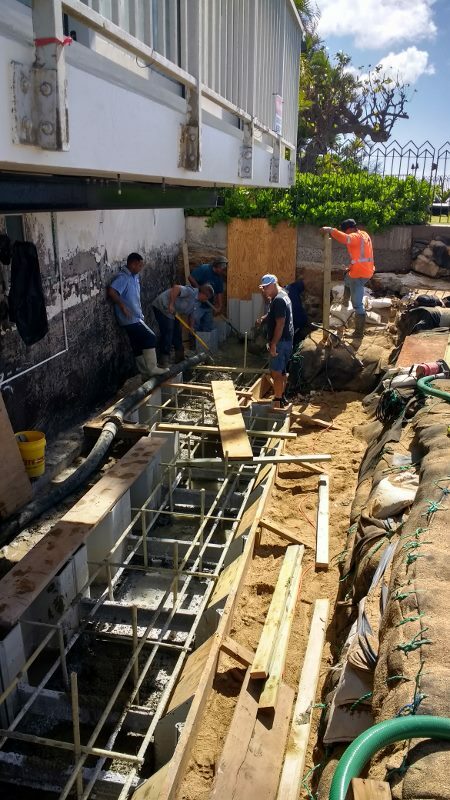 We oversaw conformance of construction activities until completion in June 2018.